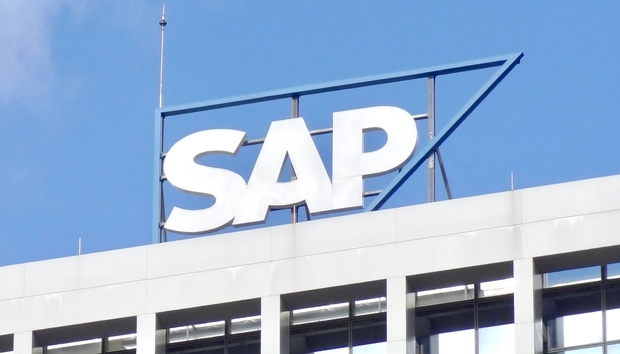 Over many years, SAP has built a reputation as a safe bet among enterprise resource planning systems and Australian businesses are increasingly moving their systems over to the software giant: SAP’s local executives recently revealed that the company passed the $1bn revenue milestone for the first time in Australia in 2017. Today, however, following SAP’s roadmap may be riskier than many business and technology leaders appreciate. The potential risks apply to SAP S/4HANA in the data centre or in the cloud – and even to organisations that delay moving to S/4HANA. S/4HANA is a dramatic overhaul and adopting it is more like undertaking a new ERP implementation, as opposed to an upgrade, and SAP is extensively promoting S/4HANA. The Slow Road to S/4HANA – continue operating Business Suite and continue to pay for maintenance, while preparing for an eventual migration to S/4HANA. The Fast Road to S/4HANA – move now to a new, unproven technology platform, despite potentially huge costs of implementation and risks of disrupting business operations. These may be the only perceived choices presented by SAP’s tactics, but they are not the only choices. SAP customers rely on Business Suite because it is stable and mature, and they have invested many years and millions of dollars in deploying and tuning their SAP solutions. In most cases, they have had to customise the base software to fit their business. Now, it seems SAP is insinuating customers have to leave all that behind, in favour of a new architecture that will be more like a new ERP implementation than an upgrade. Your eventual destination may well still be S/4HANA, but alternate routes can likely lower your costs and risk along the way. Many Business Suite clients tell us that they want to keep running their proven, customised SAP solutions until they have a reason to change. Either they have no plans to move to S/4HANA or they want to wait to see how early adopters fare with it. Yet, this “stay and pay” strategy potentially has its own risks. Based on client data, Business Suite maintenance fees charged by SAP have increased from an average of 17 per cent per year in 2008 to as much as 22 per cent today. Despite the cost, SAP maintenance doesn’t cover the majority of customer support issues, which typically involve custom code, integrations, or interfaces. Firstly, the fast road isn’t fast. If your original implementation journey took five years or more, expect more of the same for S/4HANA. Our customer and analyst-vetted cost calculator shows that S/4HANA costs about US$94 million to fully deploy for every US$1 million you pay in annual maintenance. For those who insist on making their own decisions, assessing the move to S/4HANA is no different from any other major software migration or implementation. It is important to understand that S/4HANA is not a one-for-one replacement. Business Suite is one of the richest and most complex software applications ever created, with over 400 million lines of code developed over 40 years. To date, S/4HANA offers a subset of the functionality found in Business Suite. While SAP says it will stop mainstream maintenance for certain SAP Business Suite 7 core application releases after 2025, seemingly in favour of S/4HANA, software, unlike milk, doesn’t spoil after the ‘use by’ date. Business Suite will work as well as it always has in 2025, as long as it gets the proper care and feeding. Besides, even if they started now, many complex companies wouldn’t be able to get S/4HANA deployed by 2025. SAP ’s apparent “all roads lead to S/4HANA” marketing push leaves out options that are better for many enterprises. Stick with Business Suite to maximise the value from that asset but stop overpaying for a maintenance contract. Third-party support typically provides more meaningful and complete support. Move to the cloud your own way. If your goal is to “get out of the data centre business,” Infrastructure-as-a-Service options let you take advantage of cloud efficiencies. Unlike SaaS ERP, this lets you preserve your investment in your existing implementation – customisations and all. Don’t wait to innovate. In combination with either of the above, you may wish to adopt SAP cloud ‘systems of engagement’ products along with other best-in-class cloud products. Remain alert for other options. By the time S/4HANA matures, other next-generation ERPs may also deserve your consideration. Even if you are ready to make an “all in” decision in favour of S/4HANA, getting it operational will take years. Opting for better support for less money during the time you must keep Business Suite operational can help free up funds for this likely expensive migration. If you aren’t sure which direction to go in, your best alternative is to look for ways to optimise what you have today and keep your options open. To reach the best destination, take the drivers’ seat and draw your own roadmap. Pat Phelan is VP of market research at Rimini Street. She supports senior leadership discussions, business development opportunities, strategic planning, and sales execution by providing in-depth quantitative and qualitative insights into the market, customers and competitors. Prior to joining Rimini Street, she was at Gartner for 18 years providing CIOs and IT leaders with research and advice on methods and strategies for managing the ERP/business application life cycle, with a special focus on restructuring support as applications are moved to the cloud.